Our gate latch is imported from England. 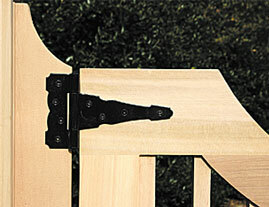 It is a very high quality piece of hardware that is galvanized and black powder coated. 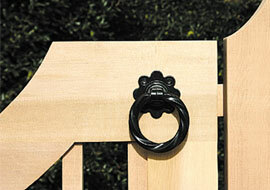 The gate hinge is a simple, yet attractive, black powder coated T hinge.